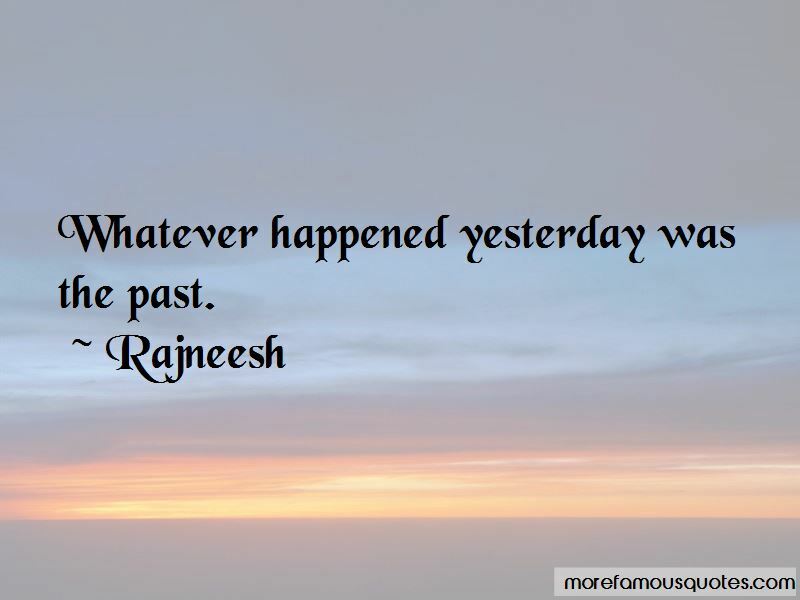 Enjoy the top 1899 famous quotes, sayings and quotations by Rajneesh. "Who am I?" is not really a question because it has no answer to it; it is unanswerable. It is a device, not a question. Don't move the way fear makes you move. Move the way love makes you move. Move the way joy makes you move. Laughter is the real religion. Everything else is just metaphysics. Life can be lived in rules, but then life becomes superficial. 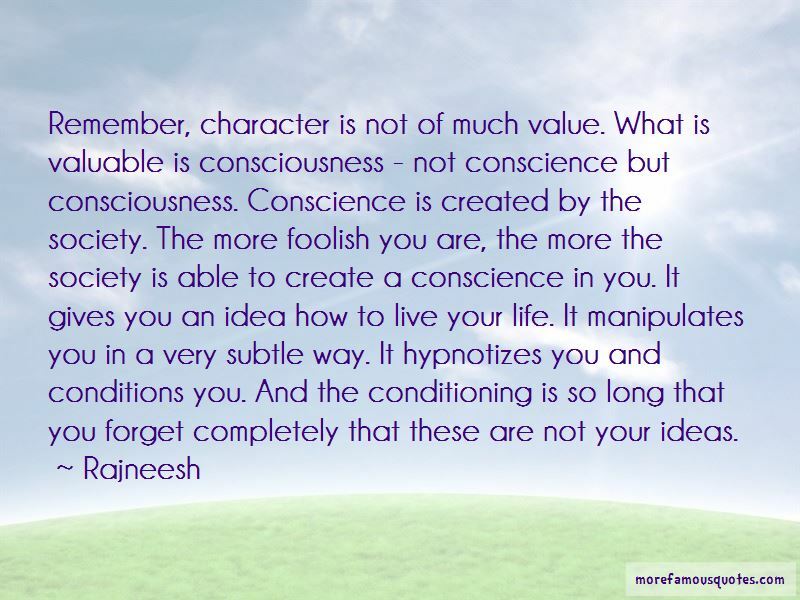 Live life not according to the laws but according to consciousness, awareness. Don't live life according to the mind. Mind has rules and regulations, mind has rituals. Live life from the standpoint of no-mind so that you can bloom into unpredictable flowers. When you don't cling to anything, there is nowhere to go - all boats have been abandoned, you cannot go anywhere; all paths have been dropped, you cannot go anywhere; all dreams and desires have disappeared, there is no way to move. Relaxation happens of its own accord. Just think of the word relax. Be, settle, you have come home. If you cannot love yourself, you don't know even the taste of love or what love means. What is marriage now, or what has it ever been? - just a painful suffering, a long suffering, with false smiling faces. It has simply proved to be a misery. At the most it can be just a convenience. That is the ultimate synthesis - when Zorba becomes a Buddha. I am trying to create here not Zorba the Greek but Zorba the Buddha. The very essence of meditation is to be so silent that there is no stirring of thoughts in you, that words don't come between you and reality, that the whole net of words falls down, that you are left alone. This aloneness, this purity, this unclouded sky of your being is meditation. Whatsoever you are doing ... be double-arrowed. Once you have known the generosity of existence you will never feel miserable. Those who have known death from inside lose all fear of death. The Bauls say, "Don't try to force anything." Let life be a deep let-go. See God opening millions of flowers every day without forcing the buds, waiting, never in a hurry, giving their time to them. The Bauls say, "Everything happens at its right time, everything happens in its own season. Wait, don't be impatient, don't be in a hurry. All hurry is greed, and all hurry is a subtle fight." That which is going to happen will happen. Whenever it is going to happen it will happen; you need not fight existence. You can surrender, you can trust. The real thing is not the goal, the real thing is the beauty of the movement. The real thing is not reaching, the real thing is the journey. Remember, the real thing is the journey, the very traveling. It is so beautiful, why bother about the goal? And if you are too bothered about the goal, you will miss the journey, and the journey is life - the goal can only be death. 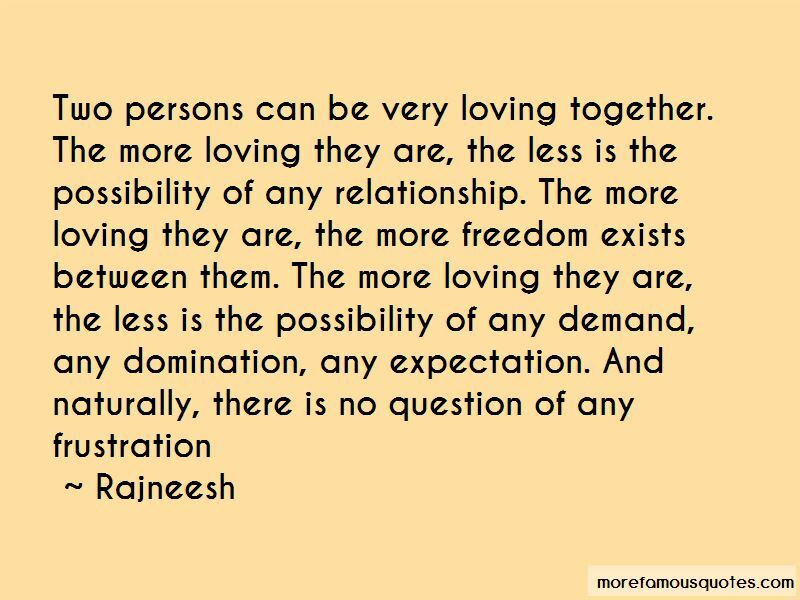 Want to see more pictures of Rajneesh quotes? 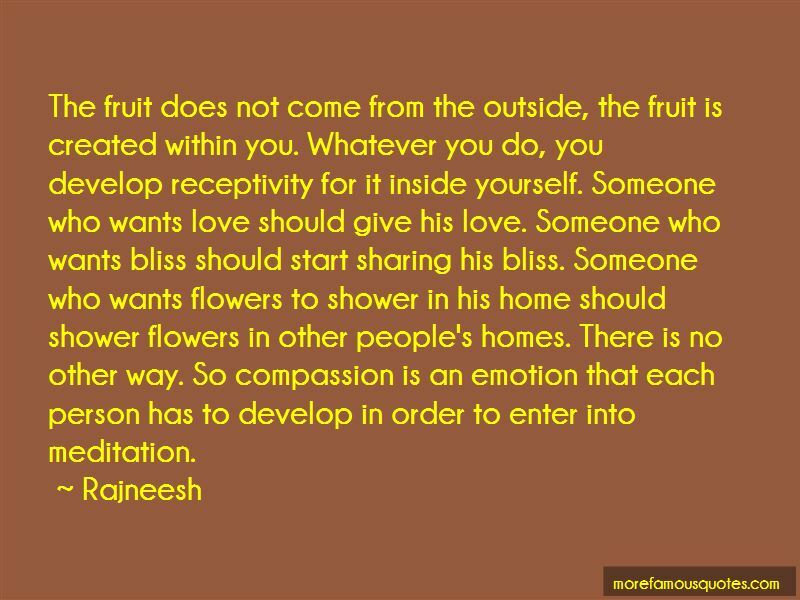 Click on image of Rajneesh quotes to view full size.